The Rainbow Lodge Program was established in 1964 to provide supported accommodation for men on their release from NSW correctional facilities. 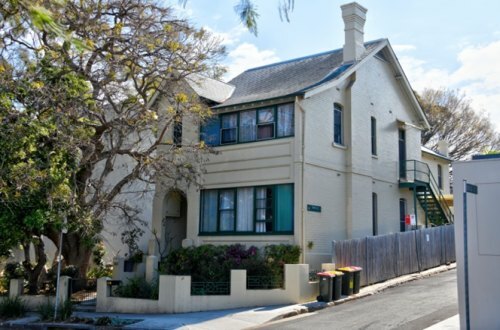 It was located initially at Bass Hill but re-located to Dulwich Hill before moving to Glebe in 1971. The Rainbow Lodge Program and its inspiration, Judge Rainbow, were at the forefront of a radical change in our approach to breaking the re-offending cycle. For the first half of the 20th century, the dominant view was that the prison sentence should serve as a deterrent to anti-social behaviour (and for those who didn’t get the message, perhaps next time…). 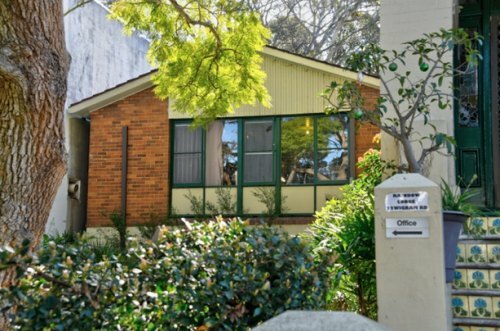 The Prisoners’ Aid Association and other not-for-profit groups attempted to ease ex-offenders’ transition into the community, but the Rainbow Lodge Program was the first intensive, residential-based program in Australia designed to actively help parolees re-integrate into the community. The Rainbow Lodge Program provides parolees with a home for three months, subject to their full participation in its Program. The Program has evolved over almost 50 years as it gained more experience and accumulated more evidence on the most effective ways to foster social re-engagement. Today the Program includes a range of activities designed to build pro-social behaviour and give its participants the skills and confidence to live in the community, as well as individual case management and specialised services to meet each participant’s needs. The Rainbow Lodge Program also provides outreach support for participants when they move into the community. To help equip participants for that move, the Program also operates, as far as possible, with a code of acceptable and expected behaviour, which includes, as for any large household, the expectation that everyone will help with household chores such as cooking. Judge Alfred Rainbow, after whom the Program is named, was admitted to the NSW Bar in 1923 and worked initially in private practice. In 1946 he was appointed Judge in the NSW Workers’ Compensation Commission, a position he held until his death in December 1963, aged 63. Rainbow’s professional obituary described him as a ‘colourful, forthright and fearless’ man with a keen interest in the criminal justice system, and especially in prison reform and the ‘rehabilitation of prisoners’.2 Rainbow was a long-standing President of the Prisoners’ Aid Association, was instrumental in the formation of the Australian Prison After-Care Council and became the inaugural President of its successor, the Australian Crime Prevention Council, in the early 1960s. In life, Rainbow did much to raise public awareness of the benefits of rehabilitation for both ex-prisoners and the community – one posthumous account described Rainbow as a ‘crusader’ for the cause of rehabilitation. Drawing on overseas evidence, Rainbow also increasingly advocated residential programs where the scope for intensive guidance and support gave the greatest chance of success. 3 Rainbow did not live to see his views put into practice in Australia, but his death provided the inspiration and the impetus to establish the Rainbow Lodge Program. But, to end on good news: The Rainbow Lodge Program has begun to build strong relationships with new Community Housing Providers (CHP).9 It currently supports 17 of its residential Program graduates in CHP homes for a period of up to two years, after which this housing will become available for other residents. The Rainbow Lodge Program still cannot ensure a home for all its graduates, but it has strong hopes that its number of CHP places will increase in the future. The Glebe Society’s kitchen starter packs will help equip Program participants who move into their CHP and social housing homes. At least as important, our packs demonstrate community support for these men as they work to re-build their lives. 9. Community Housing Providers (CHPs) are not-for-profit organisations contracted to manage the provision of both affordable housing and housing for very low-income earners. With the latter, CHPs mainly lease housing properties from NSW Land and Housing Corporation or organise to build new housing, and are funded by FACS to manage these properties. Some also have an agreement to allocate properties to those listed on the NSW Housing Register; others organise their own very low-income tenants.